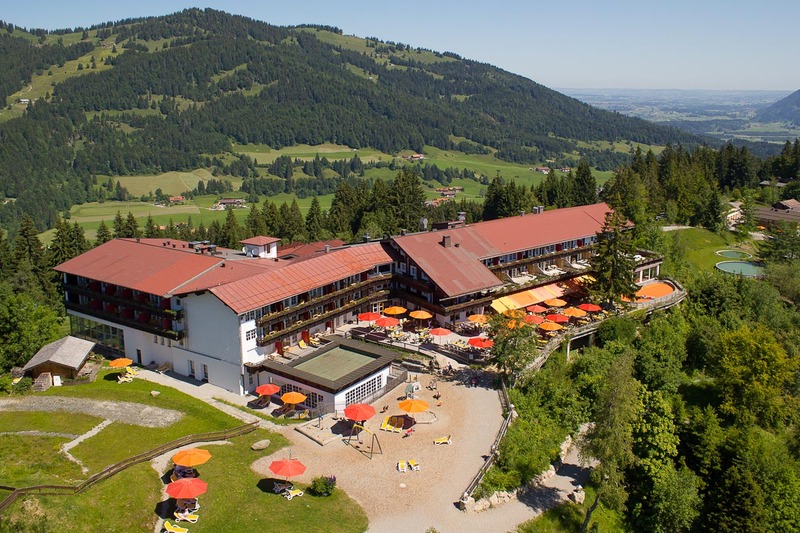 In the Allgäuer Berghof we are fully prepared for a perfect holiday with child care and entertainment. We offer at least 63 hours of child care & entertainment a week for your offspring of 2.5 years and older in Froschis Happy Club. In your holiday with child care the kids can be creative in the kids' workshop. The "Bob the Builder"-corner invites the young ones to do craftwork and they can cook and bake in the toy kitchen. On the hand-made stage, the kids perform the rehearsed shows and dance acts for the parents at the end of the holiday. When the little ones are tired, they can have a rest in the slumber corner. The child care staff loves to read them stories. In the Zwergerlreich our experienced nannies take care of your youngest sweetheart with tender affection. We guarantee excellent child care for your baby as well, at least 42 hours a week. For teenagers we offer 30 hours of entertainment with a great program in the school holidays. 42h/week care in the "Zwergerlreich"
63 h/week care in "Froschis Happy Club"